Every week, we take a walk to the library at Mary Jane Shanon Elementary, our next neighbour school. During this visit, the grade 4th students read to our children. Ms. Feazel, the grade 4-5 teacher, is very supportive of this program we call, “Fun Reading Buddies”. It will help us reach two goals: the first being to help the 4th graders develop their leadership skill, and for our young learners to enjoy listening to stories being told by their big buddies. 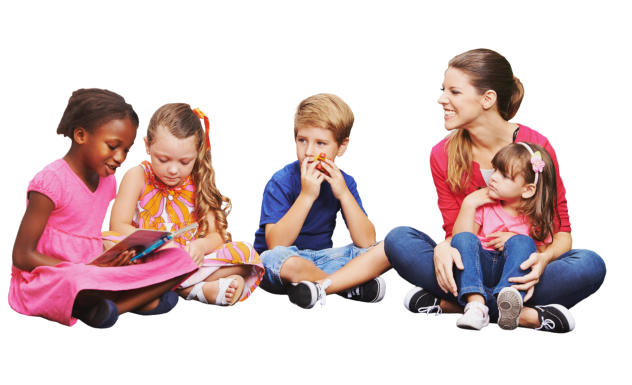 Last year, we had children who were extremely shy and afraid, and this reading program tremendously helps them prepare for entering kindergarten with more self-confidence. Why not create a beautiful mini community, while instilling the joy of reading?